Argentinian involvement in the Alliance facilitates participation in capacity-building opportunities and facilitates co-operation with groups worldwide. The network strengthens capacities among researchers and policy makers in order to identify sustainable intensification options for agricultural production with focus in greenhouse gases emissions intensity. Latin American and Caribbean cooperation platform for Sustainable intensification of livestock systems with legumes (2018-2020). Eight countries are involved (Argentina, Brazil, Chile, Ecuador, Nicaragua, Paraguay, Dominican Republic, and Uruguay). The main objectives of the platform are to promote the sustainable intensification of Latin American and Caribbean livestock systems by using forage legumes and improving biological nitrogen fixation; and to increase soil carbon stocks in pastoral systems. This Platform is being funded by PROCISUR, FONTAGRO and the New Zealand Government. FONTAGRO Project. Climate change and livestock: measurement and mitigation options of methane and nitrous oxide emissions in ruminant grazing systems. CLIFF-GRADS AWARDEES. Its aims is to build the capability of early career agricultural students in developing countries to conduct applied research on climate change mitigation in agriculture. Four candidates from Argentina participated in the first round (2018): Sebastián Vangeli, Banira Lombardi, María De Bernardi and Florencia Garcia. For summaries penned by the students themselves, outlining their experiences as CLIFF-GRADS Awardees, see the following article: 2018 CLIFF-GRADS Awardees Argentina. In the second CLIFF-GRADS round (2019) María Carolina Scorcione Turcato and Mónica Gabriela Perez, both from the University of Buenos Aires, were chosen to carry out their research at the National Institute of Agricultural Research (INIA) in Chile and the University of Bangor in the United Kingdom, respectively. In addition, two students from Peru have been selected to develop their research at the National Institute of Agricultural Technology (INTA) in Argentina. Capacity building for the development of Agriculture Greenhouse Gas Inventory in Wellington. 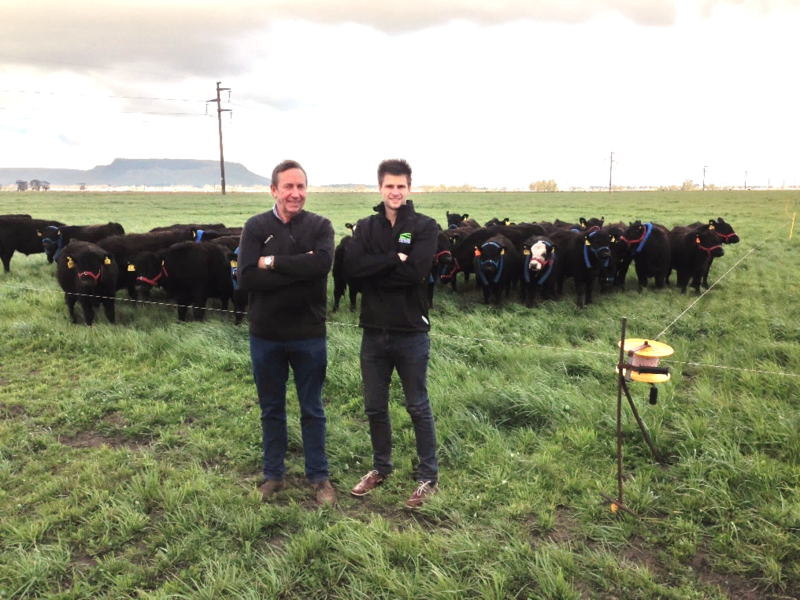 It included participation in the Annual Agriculture Greenhouse Gas Inventory Research Conference and a field trip to the New Zealand Agricultural Greenhouse Gas Research Centre. New Zealand hosted Argentina in March 2018. Andres Said participated. Tandil. Livestock and Climate Change: Policy and research definition meeting, within the framework of the 39th Congress of the Argentine Animal Production Association. October 21th, 2016. GRA participated as a partner. Argentina hosted New Zealand farmers Doug Avery (left) and Zach Mounsey (right) on the 2015 GRA-WFO study tour.